I believe that the vast majority of people may have suffered the misfortune of losing important files stored on PC due to hard drive corruption, computer loss, misoperation and other reasons. This is really a disaster that will ruin your life. Therefore, backing up PC from time to time is distinctly important for us. Then how to backup our computers simply and quickly? This post will share some best Windows backup solutions popular in 2018. Tips: To maximize the security of your files, you are suggested to backup your Windows according to this 3-2-1 rule: make 3 copies of the important data, backup the data to 2 different kinds of devices, and keep 1 offline copy. 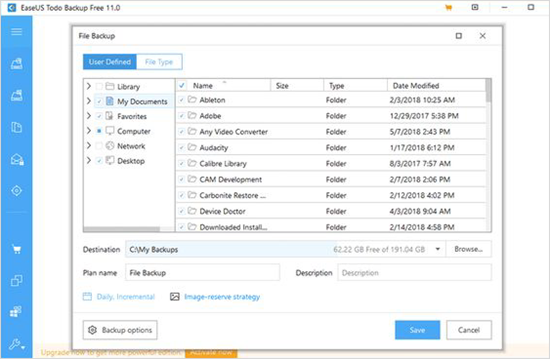 Windows offers several built-in features to backup your computer data. You can backup a Windows PC by creating a system image by going to the following path: Start > Control Panel > System and Maintenance > Backup and Restore > Create a system image. System image could store all of your files, settings and other info on Windows, but restoring individual files from it is not supported. Otherwise, you can use another fantastic function – restore point, which allows you to restore your files to a previous version before data loss happens. The operation to make a restore point is also very simple. 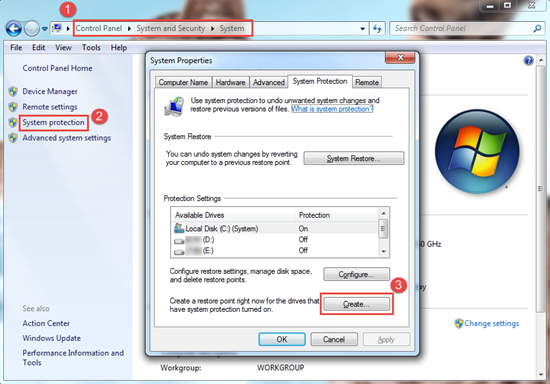 First, open the System Protection tab by navigating to Start > Control Panel > System and Maintenance > System > System Protection. Then click the Create button and enter a description of your restore point. Compared with the first method, backing up your Windows PC to an external hard drive is much safer because the backup file can still work even if your computer is not accessible. Plug your external hard drive to computer via USB cable. Tap on Start button. Then open Control Panel and click System and Maintenance. 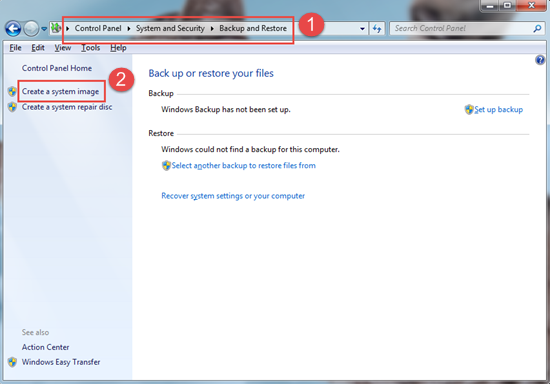 In System and Maintenance window, select Backup and Restore. Click Set Up Backup button, and choose your external hard drive in next interface. Finish the rest settings following the guidance and hit Save Settings and Run Backup on final screen. When it comes to backing up Windows PC, a free Windows backup software may be the first choice for most users. Here we would like to share some common used ones in 2018. 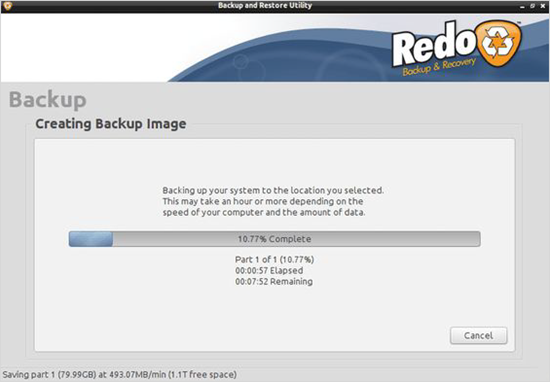 If you plan to backup a whole hard drive, then do not miss Redo Backup. It is able to backup your hard drive to an internal/external hard drive, FTP server, or even a shared network folder. However, it doesn’t support backing up individual folders and you are not allowed to read the backup file. EaseUS Todo Backup could backup a individual file or an entire folder. Besides common local drive and network folder, it also enable users to backup Windows computer to a free cloud storage server. Note: Backup files created by EaseUS Todo Backup cannot be read through Explorer, either. But you can check them with this backup program. Everyday Auto Backup is the most user-friendly Windows backup software I have met. It can backup your files with just a few clicks. 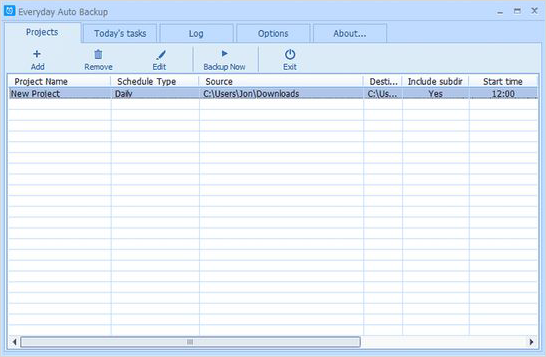 Moreover, the feature of hourly, daily, weekly or monthly auto backup makes it stand out from numerous backup programs. With the development of Cloud technology, more and more users prefer to backup their Windows computer to Cloud servers. And for Windows users, OneDrive must be the ideal choice among various cloud storage servers. It offers a free storage of 5 GB and you can expand the storage to 50 GB for $2 per month or 1 TB with an Office 365 Personal plan for $7 per month. In addition, Dropbox and Google Drive are 2 other famous Cloud services to backup your Windows PC. Dropbox offers only 2GB free storage, but you can extend it to 1 TB for $9.99 per month. Google Drive offers 4 plans: 15 GB for free, 100 GB for $2 per month, 1 TB for $10 per month, or 10 TB for $100 per month. You can choose the proper one according to your demand. What if your files like memorable photos, videos or audios stored on Windows get lost before you can back them up? Do not worry. You still have chance to restore the deleted photos, audios or videos. Step 1: Stop creating new files to your PC, especially to the disk where you lost files. Or the deleted files will be overwritten and become unrecoverable. Step 2: Install and launch RePicvid, which is the best software to recover lost images (free), audio and video files from computer, external hard drive, memory card, etc. Step 3: Select the drive on which your lost files were stored and scan it for your deleted photos/audios/videos. 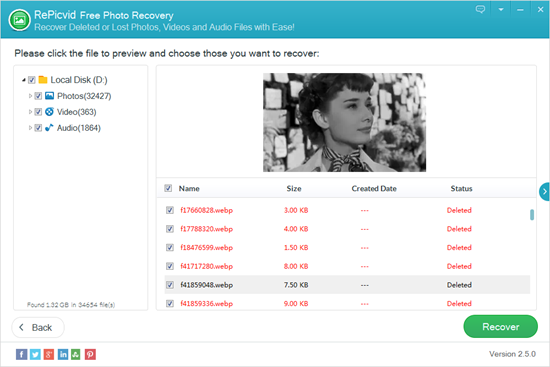 Step 4: When the scanning is completed, preview the recoverable files and recover those you want.